Jodi Macklin is known for her original approach to design, which deftly combines texture and color to create elegant, harmonious spaces. Her work reflects her clients’ lifestyles, employing luxurious materials and furnishings that are lovely, functional and easy to maintain. With her associate, Lauren Sparber, Macklin designs rooms that convey beauty in isolation and warmth when they are filled with family and friends. Projects by Jodi Macklin Interior Design have been published locally in Home & Design, Washingtonian and The Washington Post. 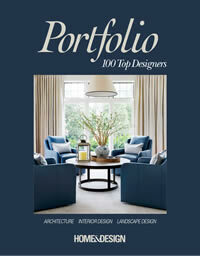 Macklin’s work has also appeared nationally in House Beautiful and Southern Living. A light, airy palette and minimal furnishings impart softness to the living room. The clean-lined kitchen boasts a traditional chandelier and dining table. Textured wallpaper and framed artwork give the powder room depth. Eclectic lighting enlivens this DC kitchen and dining area. The navy pops of color in the dominantly white bedroom add interest to this light and airy beach retreat. The luxurious feel of the materials and furnishings create a simple elegance in this large scale historic home. The seagrass chairs around this dining table add texture to this beach house dining room. Natural light floods this entryway enhancing the warm woods and subtle details on the wallpaper throughout. Serene family room on the Chesapeake Bay. The cool tones of the textiles and wall color enhances the interesting texture of the built-ins.